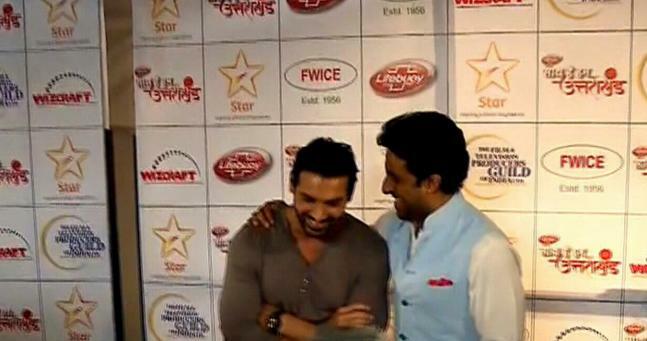 The stars cracked jokes at each other's expense and were seen enjoying themselves to the hilt. 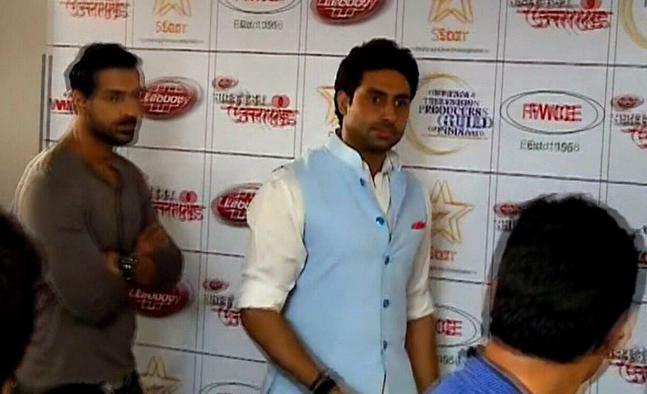 Abhishek Bachchan said that he is very excited to watch John Abraham’s upcoming movie Madras Cafe. The actors were seen together in Karan Johar’s Dostana in 2008. Both the actors said they are ready and waiting for producer Karan Johar to kick start the shooting of Dostana 2. 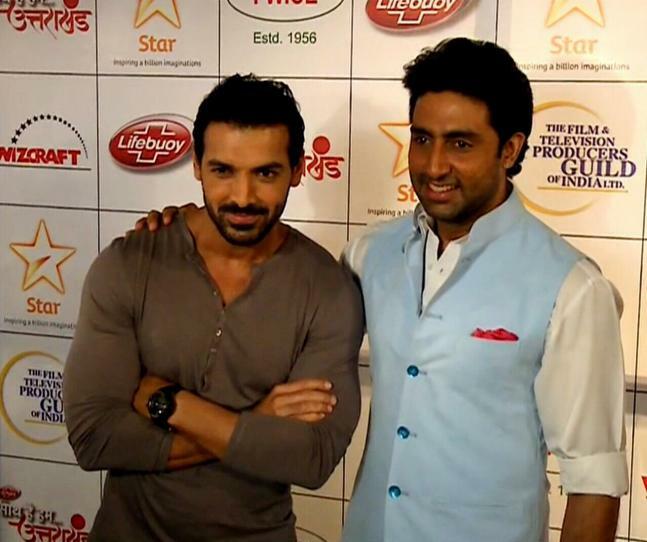 Popular Dostana couple – Abhishek Bachchan and John Abraham – was spotted at an event in Mumbai.